Please select a Color to view availability. 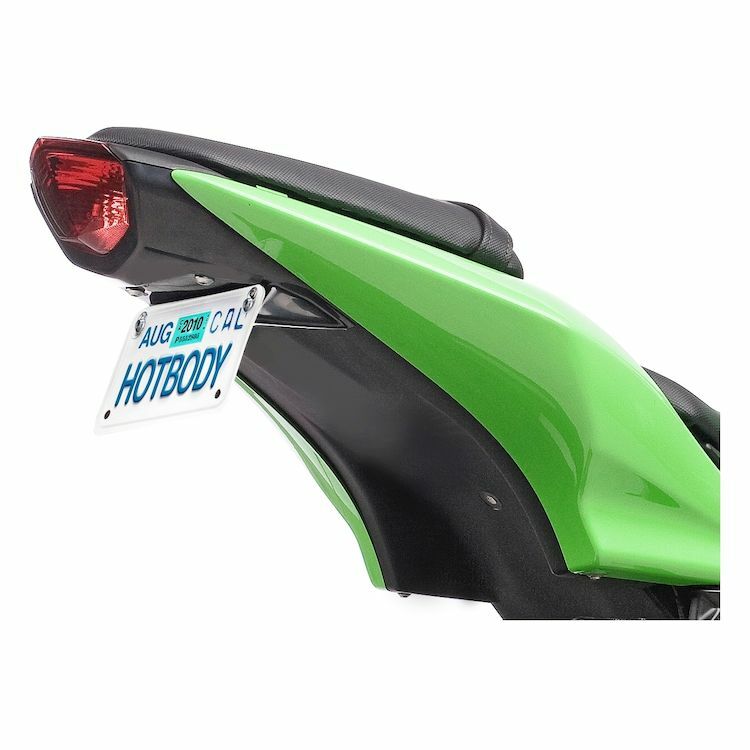 Hot Bodies Racing is proud to present the TAG Bracket, a fender eliminator kit for the modern sportbike. This is not your father's fender eliminator, this kit is constructed of durable ABS plastic that is channeled and louvered for extra strength. Due to the molded construction the products shape is more complementing to the bike. Available in solid gloss black, textured black or color matched to further enhance your bikes look. No more kits that look like cheese graters or heavy metal brackets. The TAG bracket will look like it belongs on your bike and eliminates the OEM fender. Note: Installation of the TAG Bracket will eliminate the OEM turn signals. Installation of integrated turn signals or Hotbodies Undertail is recommended. Looking to make my son's bike look 'sleeker'. I wanted to get rid of the huge rear fender on my Ninja 250. This seemed to be the most affordable. To give the ride a cleaner profile from the sides and back!